We are pleased to offer For Sale this modern 2 bedroom ground floor apartment situated in a quiet location opposite fields, the property benefits from having a single garage with tandem off-road parking to the front for two cars, together with UPVC double glazed windows throughout. 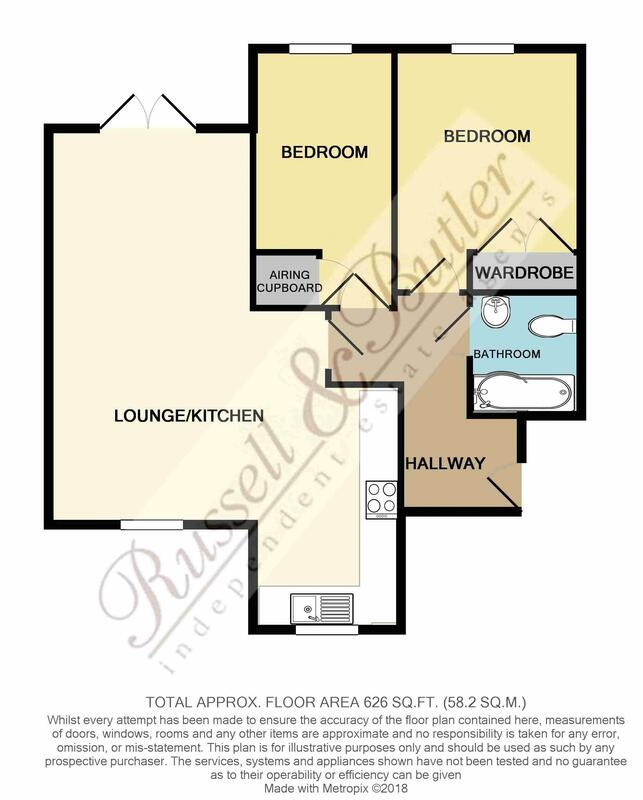 The apartment is situated on the edge of Milton Keynes and briefly comprises entrance hallway with video phone entry, open plan lounge/kitchen/diner, two double bedrooms one with built in double wardrobe and white bathroom suite with electric shower over bath. French doors from the open plan living area lead on to a rear garden with artificial lawn and decking area. An ideal investment purchase with a good track record of letting. Leasehold with service charges and ground rent of approx £120.00 monthly. The lease was granted on 1st October 2004 for 125 years. Giving access to accommodation, video entry phone system, electric panel heater. Having the advantage of Upvc double glazed window to front and side aspect, Upvc double glazed French doors to garden, two electric panel heater, television point, laminated flooring. Having the advantage of built in wardrobe with hanging rail and storage as fitted, electric heater, television point, Upvc double glazed window to rear aspect. Airing cupboard housing insulated water tank and electric immersion heater with linen storage shelves, Upvc double glazed window to rear aspect, electric panel heater. A modern white suite of P shaped bath with separate shower over, low level wc, pedestal wash hand basin. full and half height complementary ceramic tiling to water sensitive areas, extractor unit, towel radiator. Laid to artificial lawn with decking area and side gate access which leads to detached single garage to the rear of the apartment and includes tandem parking in front of the garage for two cars. A single garage in a nearby block with additional off road parking. All main services connected with the exception of gas. EPC Rating C.
Russell & Butler are also able to provide you with independent mortgage advice. For further information, please call 01280706832.